WHY I LOVED IT: Considering Stevie Wonder in my estimation is one of the all-time greatest music performers, it’s nearly impossible to not like one of his offerings. 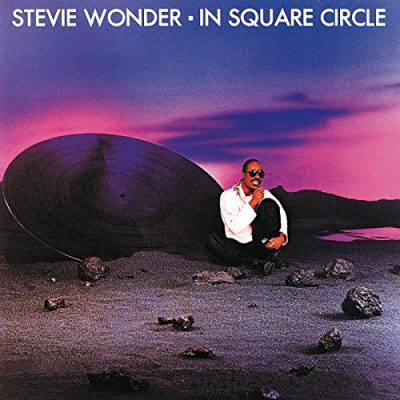 This isn’t his greatest album nor is it close, but “In Squared Circle” is like a second-line forward on a Stanley Cup championship team—nothing wrong with that. “Overjoyed” wasn’t the album’s most successful single but it was easily my favorite. That’s not taking anything away from “Part Time Lover”—the album’s lone top charting single and deservedly so with its silky synthesizer arrangement and catchy lyrics. COMMERCIAL SUCCESS: In Squared Circle spent 12 weeks at the top of the R&B album charts and fifth on the Pop Album charts. “Part Time Lover” reached number-one on the Billboard Hot 100 and “Go Home” ranked as high as No. 10 among United States Pop Singles. “Overjoyed” only reached No. 24 on the U.S. Pop Charts but reached fifth on the R&B Charts. “Land of La La” peaked at No. 19 on the R&B Charts. FUN FACT: Incredibly this was Wonder’s 20th studio album. Twenty was a lucky number for Wonder, as the album won the 1986 Grammy for Best Male R&B Vocal Performance.